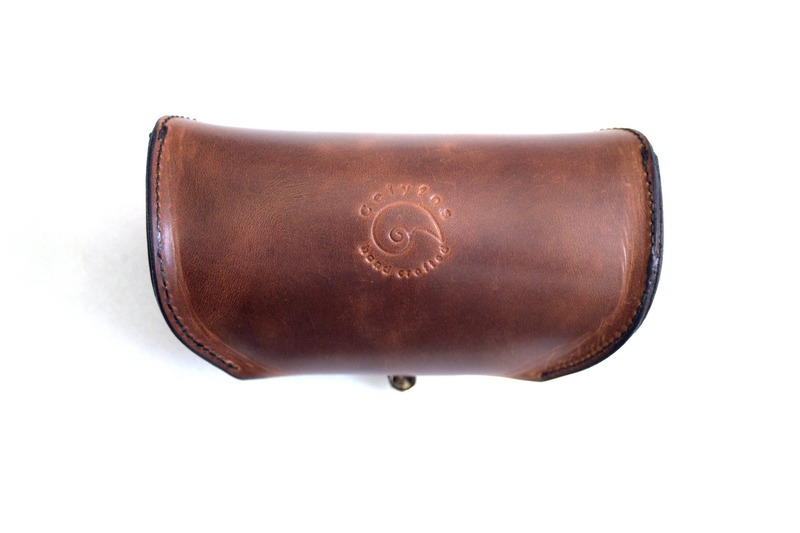 This is a genuine Celyfos® handcrafted, leather eyeglass case. 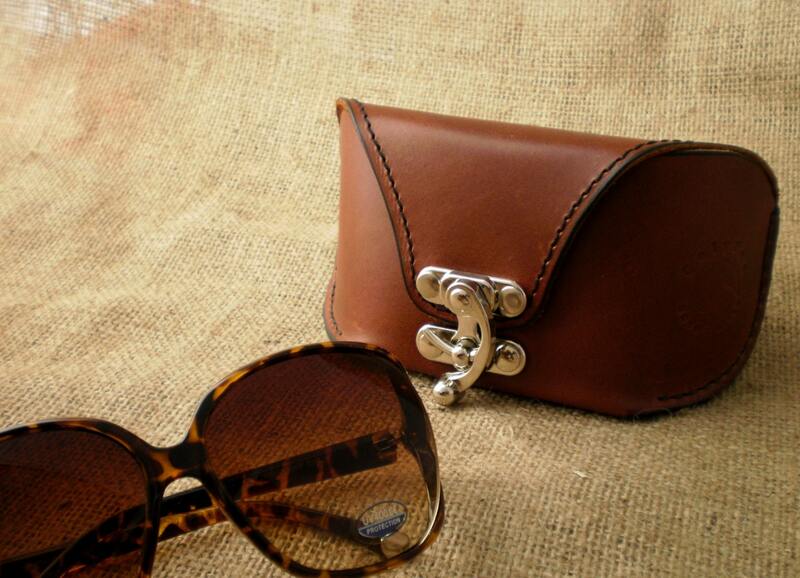 Made from finest Italian waxed cowhide. 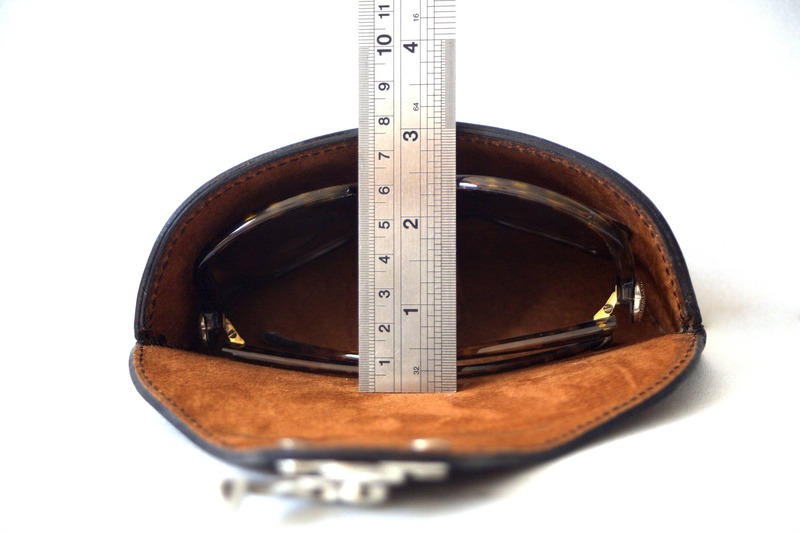 Lining is soft suede leather for maximum scratch proof protection. Hand stitched with heavy nylon waxed thread. 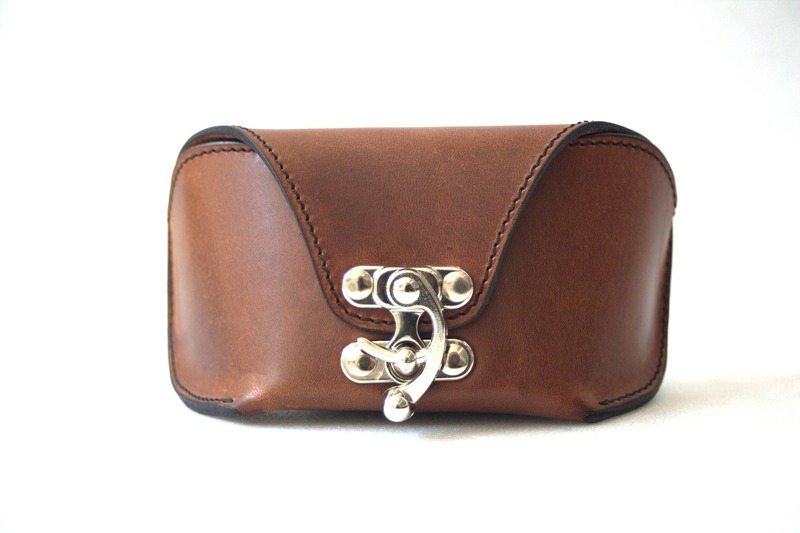 Astonishing steam punk look and feel of fine handcrafted leather product. This particular leather is waxed treated creating unique patina. Built in nose pad support, for maximum strength. Made to last for a lifetime of hard use. 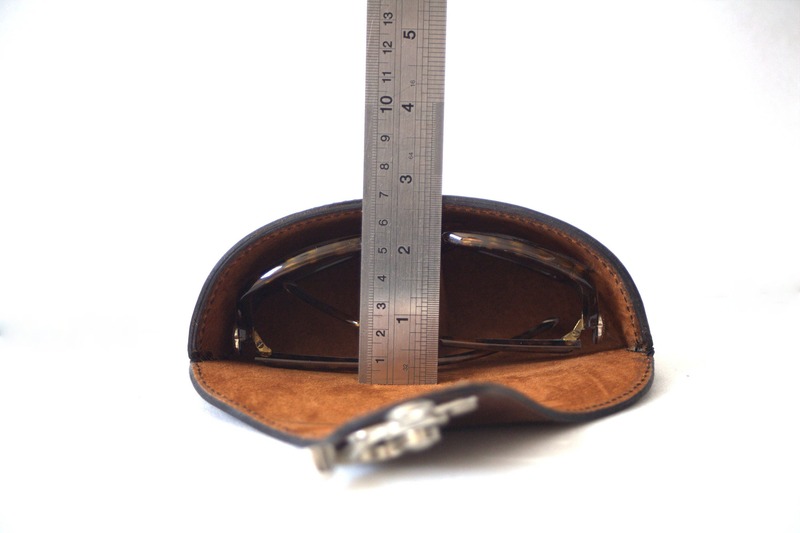 Ordered this X large sunglasses case with website description of 3" / 7.5 cm internal width. Received one with only 1.8" / 4.5 cm internal width instead. 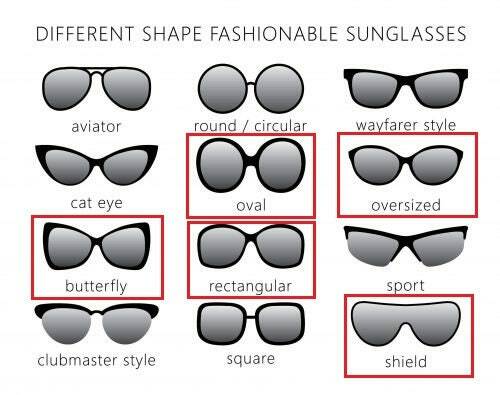 Sunglasses cannot possibly fit it. Notified the seller. The reply received being that I should stretch it out wide.. Absurd.